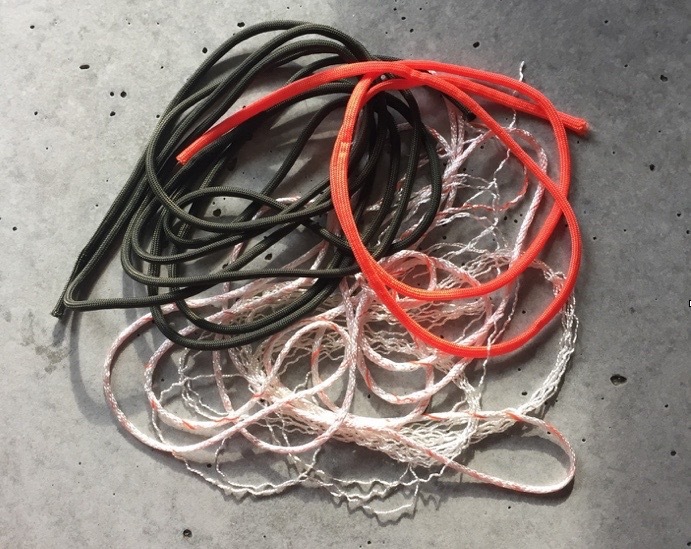 Parachute cord (also known as Paracord or 550) was originally used during World War II as the material of choice for suspension lines in US parachutes. Made of lightweight nylon this cord has now become the standard for general purpose utility by both civilians and military personal. 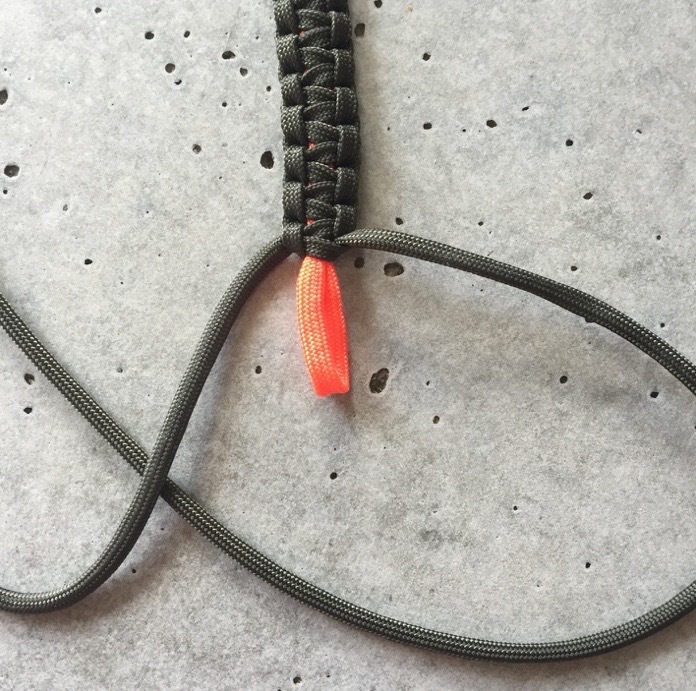 Step 1: Cut two strands of Paracord. One will be for the core (Orange) of the bracelet and the other (OD Green) will be for the exterior. Length will vary based on wrist size but as a general rule of thumb the exterior strand should be 4X the core length. 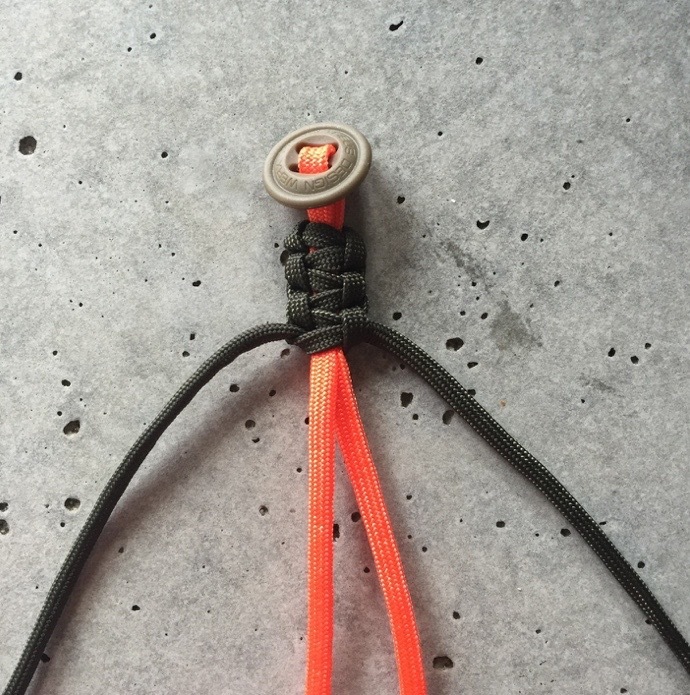 Step 2: Remove the 7 inner strands from each piece of Paracord and discard. 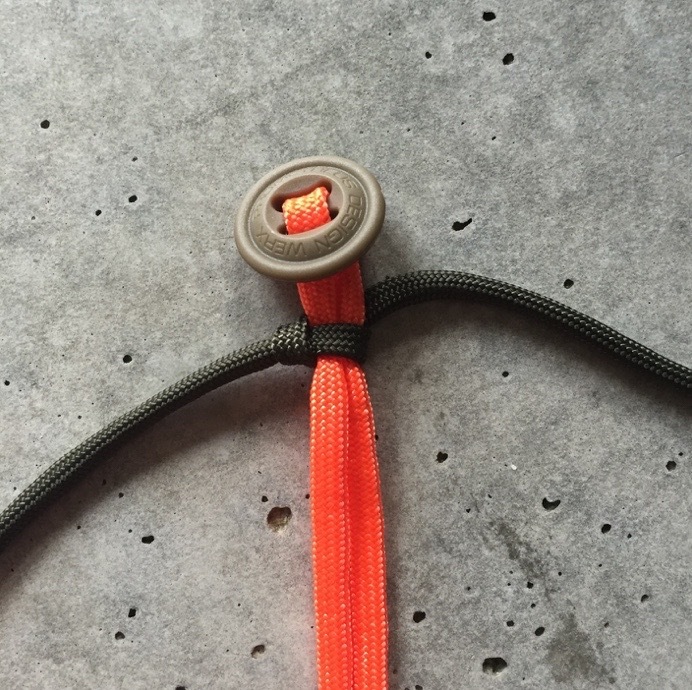 Step 3: Weave your PDW button (or any other button of choice) onto your core strand of Paracord and melt both ends together creating a loop. 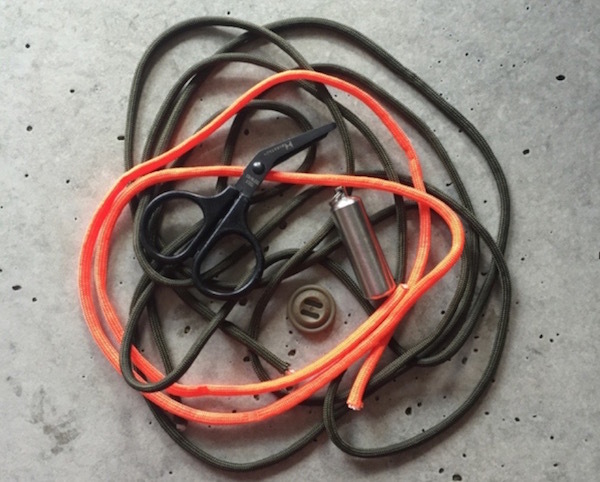 Step 4: Begin by taking the right side cord (OD Green) and bringing it over the top of the two center cords (Orange). Now take the left side cord (OD Green) over the right side cord, under the two center cords (Orange), and through the loop on the ride side. Pull tight. You now have completed your first half knot. *Note: The knot used to make this bracelet goes by a few names but for the purpose of this article it will be known as a Cobra stitch. 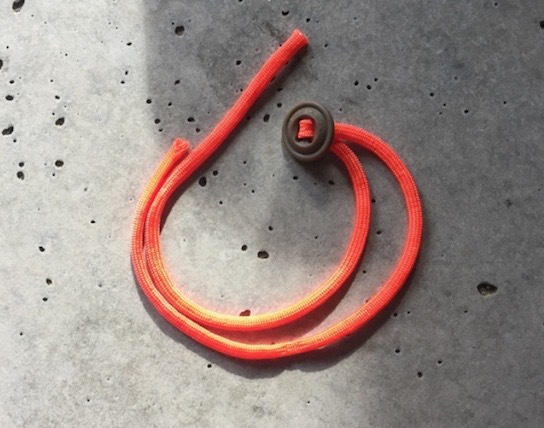 Step 5: Take the left side cord (OD Green) and bring it over the top of the two center cords (Orange). Now take the right side cord (OD Green) over the left side cord, under the two center cords (Orange), and through the loop on the left side. Pull tight. 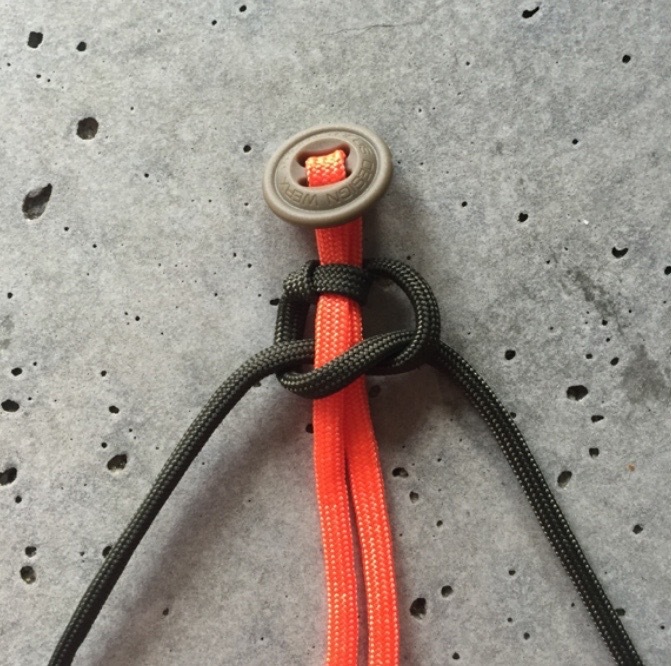 You now have completed your first knot. Step 6: You will continue repeating Steps 4 and 5 alternating between left and right sides until you reach the desired length of your bracelet. 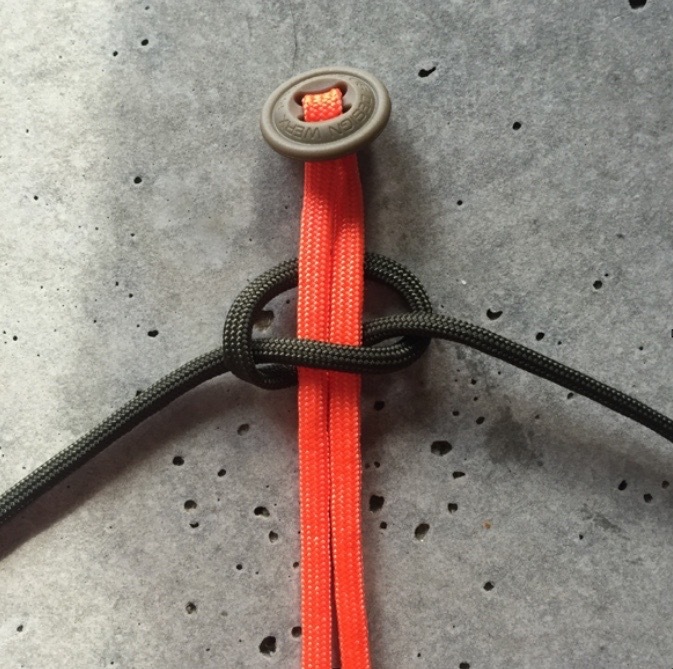 Remember to pull each knot equally as tight for consistency purposes. Step 7: Leave about a 1 inch loop at the end of your bracelet. 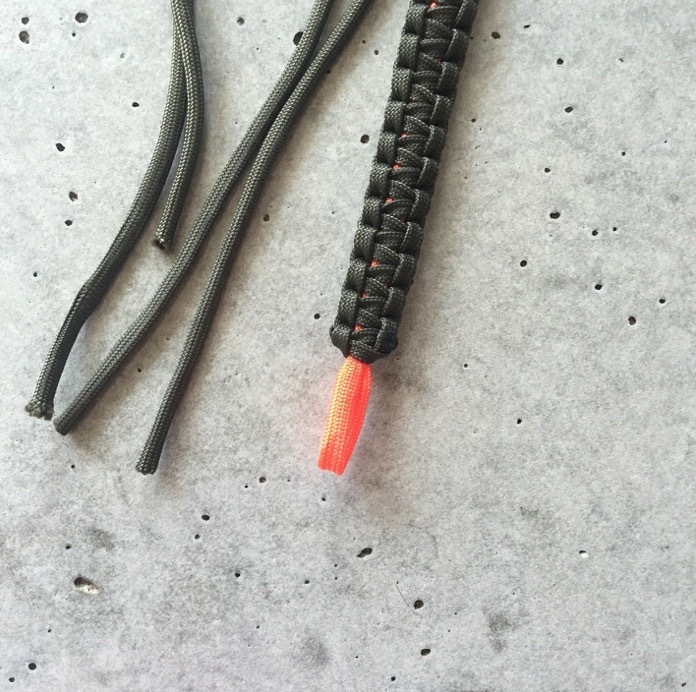 Trim the excess Paracord and melt the ends with a lighter to prevent fraying. 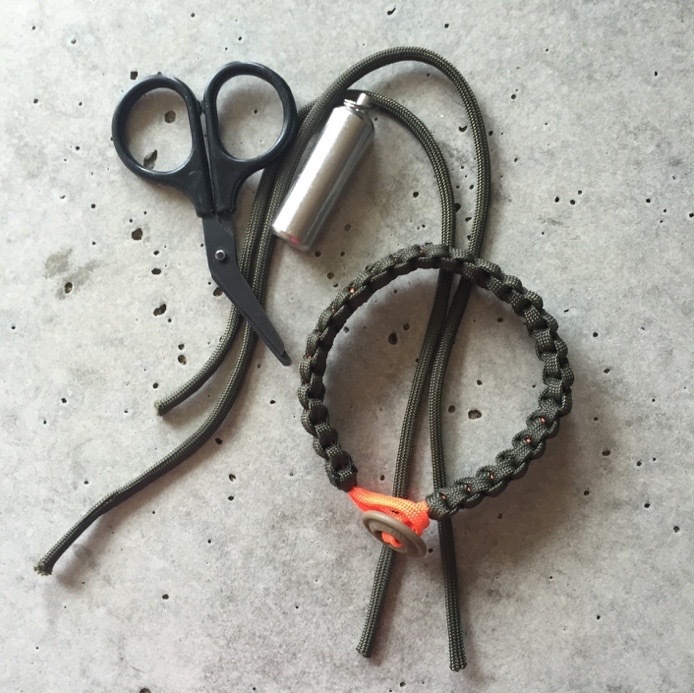 Step 8: Your Paracord bracelet is now complete and ready to wear on your next adventure! The Squirrel (Sciurus Carolinensis), the North American Gray Squirrel, fits easily into a number of habitats due to their remarkable adaptability. They are praised for there industrious food gathering, courage, and, in some tribes, have been honored as caretakers of the forest. Squirrels love to have fun, but equally balance work and play, relaying the message of planning ahead and preparing for the future. They have taught us to manage our resources and prepare for all seasonal changes. Squirrel, aka Scott Pierce, a native to New Jersey, enjoys spending time outdoors exploring both land and sea in search for the next adventure. Since a young age, Scott has been actively camping in NJ's backcountry known as the Pine Barrens and PA's Pocono Mountains. During the summer months he can be found navigating the Delaware River by boat. Scott enjoys collecting quality camp gear, backpacks, custom knives and EDC tools, especially those crafted in the USA. Much like a squirrel, when Scott sees something he wants, he finds a way to get it.